My first impressions of this luxury houseboat were "wow!" Built in 1969, this was originally a Thames passenger cruiser. 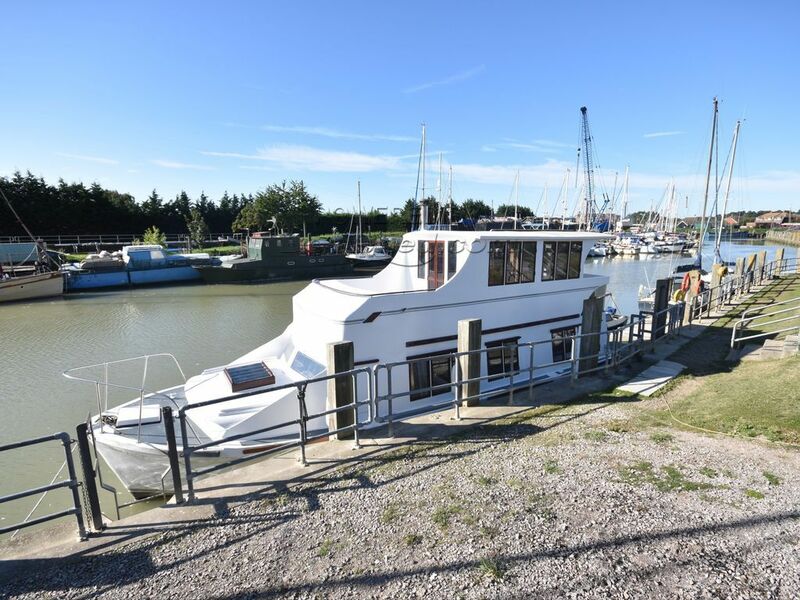 Today she has been beautifully renovated by her current owner of 2 years into a static home on the water, in the historic town of Rye. Every room has been designed with all the conveniences of an apartment but offers the added beauty and tranquility of life afloat. There are panoramic views of the river Brede on both floors, through the many double glazed, tinted windows. Watch the boats go by from the large forward deck, have a bbq and, on cooler days, snuggle up in front of the wood burner and watch a movie on the cinema screen in the impressive saloon. Down below, the bespoke, fully fitted galley offers stainless steel worktops, a full sized fridge and plenty of storage. The bathroom hosts a roll-top bath and a drencher shower, giving the feel of 5 star accommodation. A custom built bed maximises the space in the forward cabin and the spare bedroom/day room has a removable hatch which can be opened to offer star gazing in the evenings. This houseboat needs to be seen and viewing is highly recommended. This Bourne 40 Luxury Houseboat has been personally photographed and viewed by Jules Archer of Boatshed Brighton. Click here for contact details.